Hey guys! Today I wanted to show you a ‘Cinderella’ inspired outfit and hair. As we all know (or you should know, that is) Cinderella’s gown was a baby blue color. 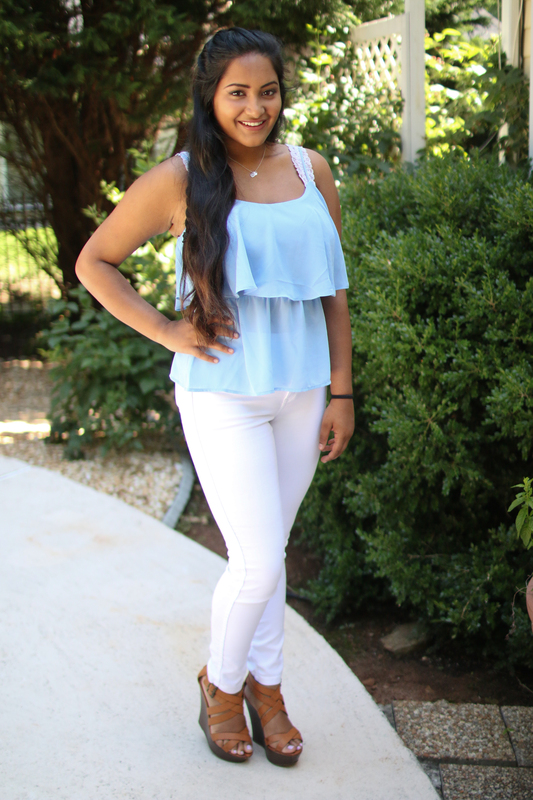 I got this baby blue shirt from Forever 21. My white high waisted skinny jeans are from American Apparel. My shoes are from Charlotte Russe- these babies have been my best friends for the season of grad parties, they are surprisingly comfortable for being new. My bralette is from Aerie . 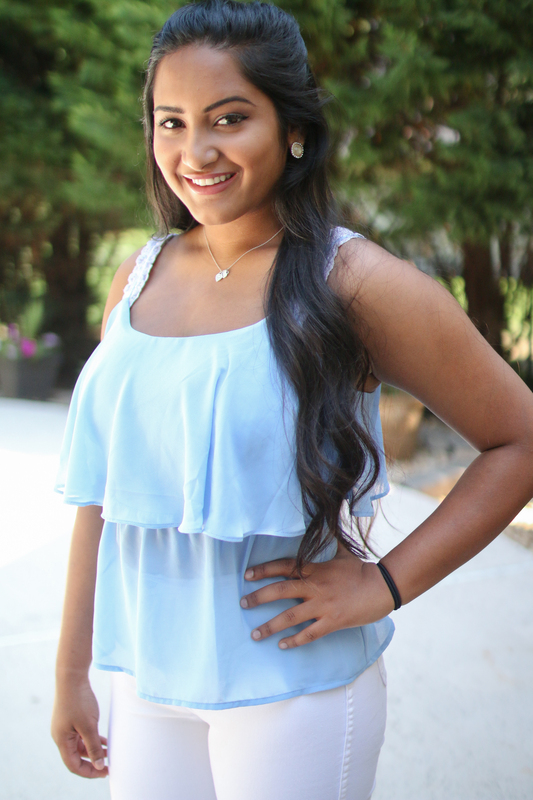 For my hair, I was kind of rushed and not feeling like straightening or curling my full head. So I decided to do a Pulled Apart Dutch Braid half up half down. 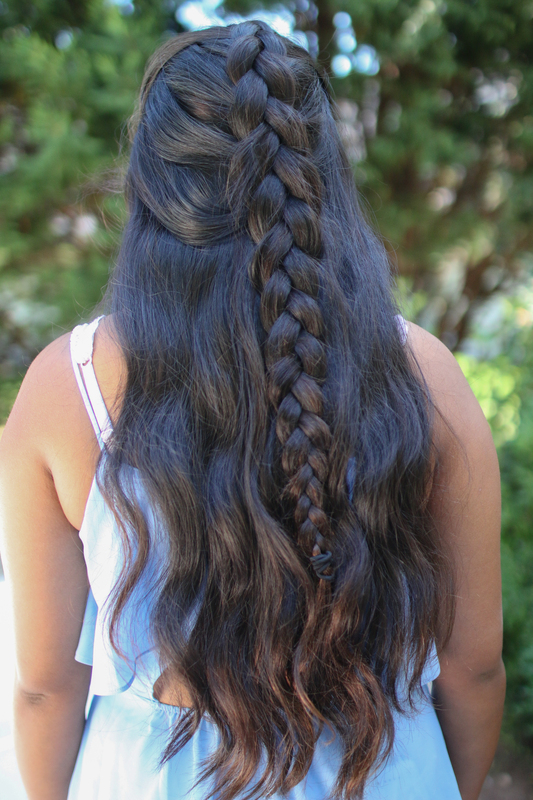 Honestly I thought it looked like a 3-year old hairstyle at first, but they key to it is to “pull it apart”, meaning do the dutch braid, tie it off and then go back and just tug on every loop of the braid. This will give it a more full look and it will seem like you have thick hair ever if you don’t! 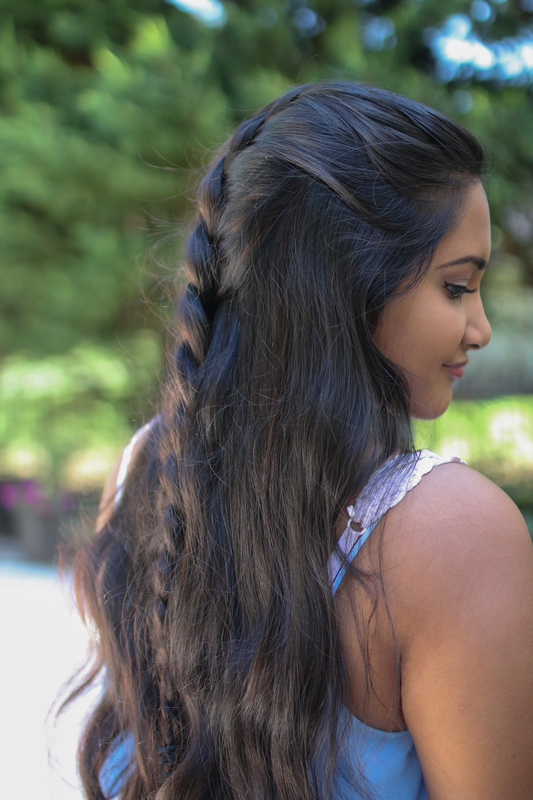 Amber Fillerup taught me this trick and now I can’t do a braid without pulling it apart! It just makes it look so messy yes so elegant! If you guys don’t know about Amber, she is an amazing blogger- by far one of my FAVORITES! She is pretty well known for her braids and you may have seen her on Pinterest in a hair tutorial! But if you ever have greasy hair, she has so many awesome braid tutorials that you can cover your grease up with! Anyway, back on topic, I just recently watched Cinderella (the newest one) and it was so cute! Even though there are like, what? 15 Cinderella related movies..? But the story gets better every time! Next Post I Got A New Car! !